"The Hidden Benefits of Nature on Early Child Development"
Some of the most vivid memories from my childhood include playing in a ravine near my house. My friends and I would explore the creek and meander through the small forest for hours, escaping into the relaxing, yet stimulating surroundings. Today however, children are less likely to share what many of us took for granted as part of our childhood and look back on fondly. Far more critical than a loss of happy memories however, is that studies are linking decreased time spent by children in a natural setting to increased levels of attention deficit, obesity and depression - what has been coined “Nature Deficit Disorder”. Additionally, our nation is producing less scientists and engineers, not only due to a lack of interest in curriculum, but also due to the lack of practical hands-on experiences children would typically acquire through time spent outdoors at an early age. Part of our mission at the Discovery Zone is to introduce children to a natural setting at an early age in a fun, stimulating, safe and child-friendly environment and help address these critical issues. We recognize that today's children are bombarded by more external stimuli than ever before and many, if not most children need more than a passive ”nature hike” to spark a sustainable interest. The Discovery Zone offers preschool aged programs during spring, summer and fall in which we weave stories and crafts into the exciting world of hands-on outdoor activities. In addition, beginning at the age of three, we offer fun, exciting and memorable birthday parties and our half-day summer program, "Discovery Summer" begins for 3's as well and has been extremely well embraced by that age. 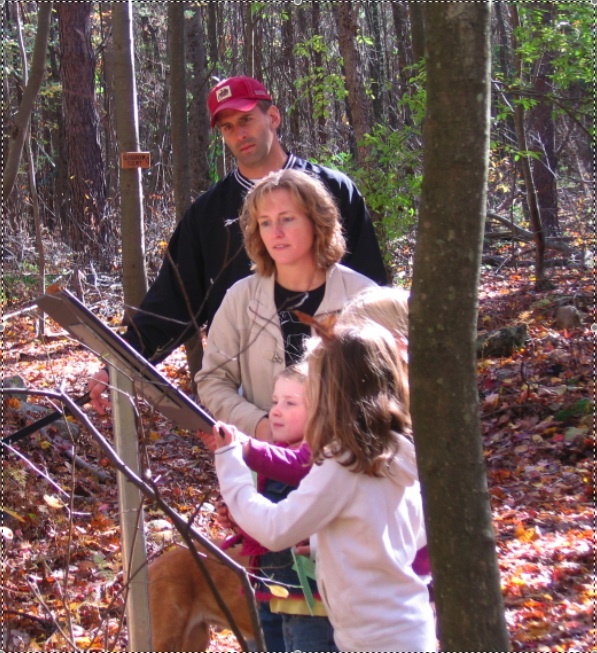 For older children, the Discovery Zone offers events and after school programs with more intensive studies of our unique habitat, while integrating, longer walks, nature photography, crafts and much more! In 2013 we began offering "Discovery Summer" for two weeks, and this year we expect it will have grown to eight weeks-with many of our original campers still attending! Offering programs such as these in a natural setting vs. indoor venues offers children unsurpassed opportunities for growth by identifying, categorizing and assigning a wide array of stimulating items surrounding them such as trees, plants, rocks, birds, flowers, animals and habitats. Children have an opportunity to experience empathy, make connections and problem solve; all critical building blocks for the growth of their mental health and well being. We are thrilled when we hear so many of our parents tell us that the Discovery Zone is their child's favorite place! Parents also report that a trip to the Discovery Zone provides a spontaneous and enjoyable way to spend quality time with your children. Whether you spend 30 minutes after school or a leisurely Sunday afternoon, the unplanned memorable moments of discovery you share with your child can help foster a love of learning and improve your child's cognitive abilities--a great anecdote to combat short attention spans caused by computers, television and video games. Take advantage of our scavenger hunts (for free) and allow your children an opportunity to show you where they've been and what they've learned at the park, a reinforcement tool considered "the holy grail" by educators! As parents we do our best to enrich our children’s lives with many planned activities, however once in a while it's good to step back and reflect on a time when many of these activities weren’t offered and some of the problems children are experiencing today weren’t as acute. Interaction with nature, instinctive to the earliest days of mankind, has all but disappeared from many children’s lives. With all the pressures for more school at an earlier age, in some respects, many of our children are simply losing their childhood. At the Discovery Zone, learning about nature is not our primary goal, but rather nature is the critical platform to promote the mental, physical and emotional growth of our children and above all, allowing kids, to be kids. “Today my husband, son, daughter and four grandchildren, ages 3, 4, 6 and 11, spent a few hours there exploring and learning. I especially enjoyed the history lessons and being able to visualize what it was like so many years ago.